Well…that holds true in running as well. I have been searching for a fall marathon to run this year. I did Chicago last year…and thought about Marine Corp, but have heard such a mixed bag of reviews on that one that I thought to let that one sit on the back burner for now. There were a few races that I eyed…but none that really grabbed me. I never get into anything via the lottery. EVER!! So this was a huge surprise. I saw the pending charge on my credit card while I was at work, but decided to wait until I got the official e-mail…which came earlier this evening. And soon commenced with me jumping up and down, dancing a jig, maybe doing the hokey-pokey…and SCREAMING!!! So, I guess the luck of the draw found the fall marathon for me. New York City…here I come! Pardon me while I go dance around to Pharrell William’s “Happy” for a little while. 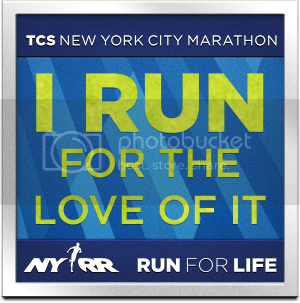 This entry was posted in life, mile markers, race, running by The Celiathlete. Bookmark the permalink. You go girl!!! I saw the running group last Saturday and they are running the Columbus marathon because they knew they all could get in. Nice!! Columbus was one I looked at for the fall too. But…I can’t turn down NYC!